National AHEPA began its efforts in the development of Section 202 multifamily housing for low-income elderly in 1980. AHEPA’s first project, known as AHEPA 53 Apartments, was based in St. Louis, MO and consisted of 117 units. Based on the success of this initial effort, other local chapters embraced the program and began similar projects within their own communities. 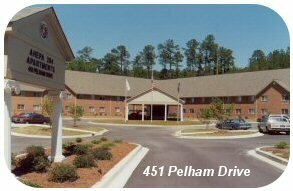 The Palmetto Chapter is pleased to provide two facilities in the Midlands as part of the Section 202 Housing program. In partnership with the U.S. Department of Housing and Urban Development, AHEPA 284 Apartments opened it's doors on September 23, 1999. It is a two-story building with a multiple use community room, laundry facilities, a library, craft room and 59 apartments. Occupants are selected on a first come, first served basis and must meet certain eligibility requirements (62 years- minimum age). Click Here to Tour the Apartments on Pelham Rd. 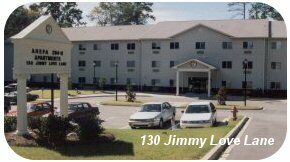 Building on the success of the Pelham drive property, the AHEPA Palmetto Chapter opened its second apartment building at 120 Jimmy Love Lane in August 2001. Board of Directors & Corporate Roster for AHEPA 284 I & II, Inc.
call Nancy Mims at 803 695-1934.